Accurately spreading dry fertilizer and lime is second nature here at Stutsmans. Throughout the years, we’ve used and added various dry spreaders to our equipment line. After becoming a dealer of Salford’s tillage products and Valmar Airflo line, we realized the quality of their BBI spreaders would be valuable to our customers as well. 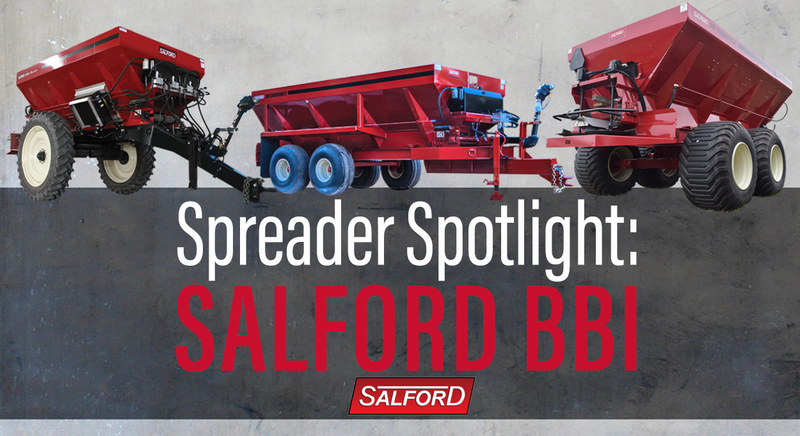 There are several features we like about the BBI spreader line including: options for pull-behind or mounted spreaders, various hopper lengths and sizes, multiple spinner packages, section control ability and self-contained hydraulic systems. All BBI spreaders have a flat spread pattern designed for even swath spread and minimal overlap leading to fewer passes across the field. Although BBI offers a diverse offering of spreader options, our primary focus is on the Sniper, MagnaSpread and Endurance models. Regardless of your spreading needs, we can help find the right fit for you and your operation. The Sniper is the newest model in the BBI family of spreaders. The Sniper is a high-clearance, adjustable axle width unit designed to spread up to 120’ wide patterns. The Sniper has a unique 12 section automatic swath control to reduce over-application and to minimize spreading into environmentally sensitive areas. 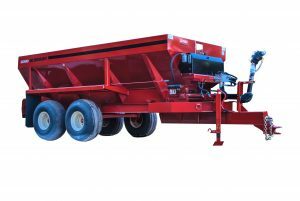 The spreader floor has two chains for right and left section control, and additionally can vary the speed and movement of the spinners to accommodate the 12 sections. The Sniper is offered for over the top application and can be used for spring and fall dry fertilizer application as well. Variable-rate spreading is possible when connected to any of the major precision agriculture monitors. 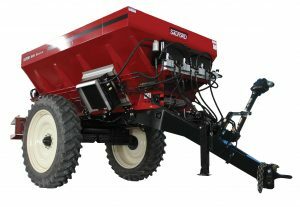 MagnaSpread spreaders can be used for both dry fertilizer and lime in widths exceeding 80’. Optional Javelin spinners offer the ability to spread urea at 120’ wide patterns. They come in lengths from 10’ to 20’ with several tire, wheel and floor options. 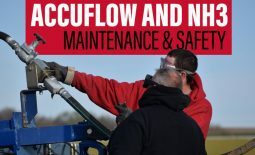 All MagnaSpread models have BBI’s patented binary manifold hydraulic system allowing all hydraulic functions to be self-contained on the spreader using a PTO or hydraulic drive from the tractor. The MagnaSpread is offered as pull-type or a mounted unit for use on an existing floater or sprayer chassis. The durable Endurance models are great for precision application of poultry litter, manure, compost, lime and other organic materials. 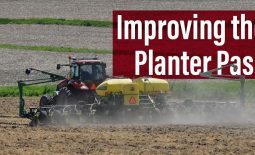 They offer a 60’ wide spread pattern that other spreaders can only accomplish with much heavier materials. 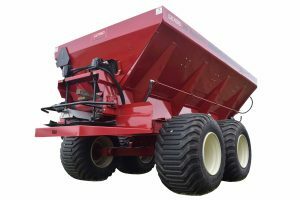 Endurance spreaders are available in sizes from 14’ – 24’ with multiple hopper options, several floor, axle and tire combinations.